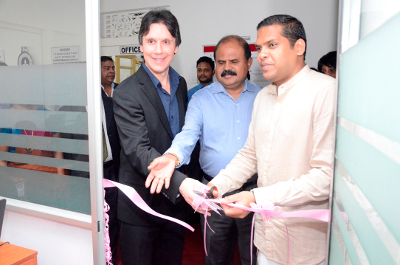 Ericsson Sri Lanka, Sri Lanka Telecom Mobitel and the Open University of Sri Lanka unveiled the ‘Connect to Learn’ initiative in Badulla on 10 March. To mark the ceremonial launch of the project, Harin Fernando, Minister of Telecommunications and Digital Infrastructure, graced the occasion as special guest of honour. ‘Connect to Learn’ is the global education initiative founded by the Earth Institute, Ericsson and Millennium Promise that leverages ICT for a 21st-century education in developing countries. The state-of-the-art technology deployed at the ‘Connect to Learn’ lab in Badulla gives teenage girl students and teachers access to 21st-century educational tools and resources, cross-cultural understanding, global awareness and significantly improved employment opportunities.